Spring is in full bloom in the Rhone Alpes where I live and today I have a pretty little card to share using Stampin' Up! products. 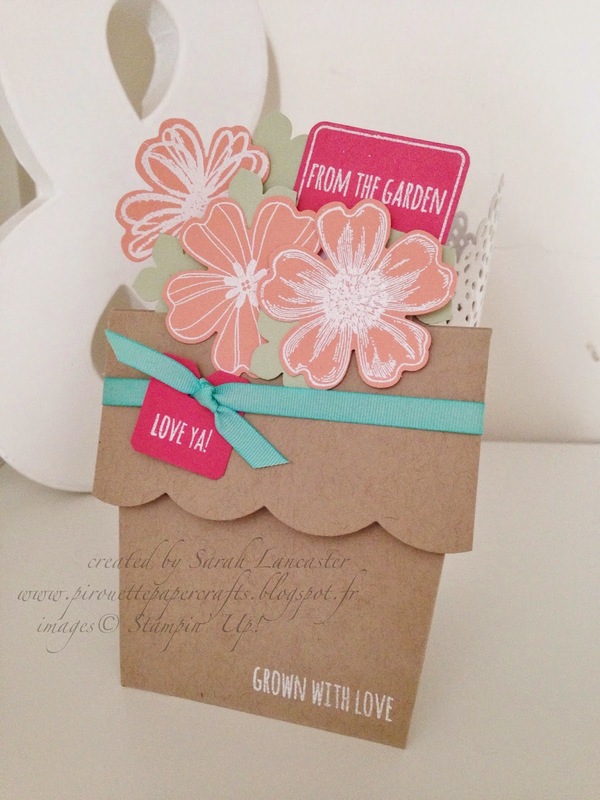 The simplicity of this card is very appealing to me, I love the construction and the way that the card carrying the sentiment is hidden within the flowerpot. This means that the recipient gets a lovely surprise! 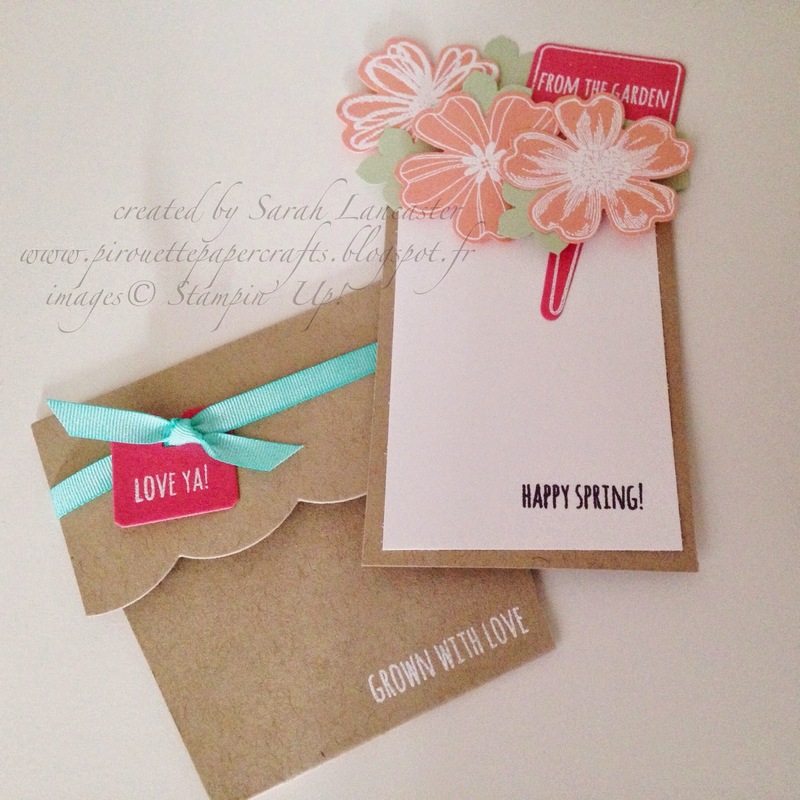 With Spring in the air I selected the From the Garden stamp and die set, which is a perfect match to the flowerpot card. For the focus of my card I selected the 2013-2015 In Colours - as we will shortly be saying goodbye to these when the new catalogue is launched on 2 June 2015. Here are my supplies and if you purchase the stamps and dies as a *bundle* you can save 15% - yay! 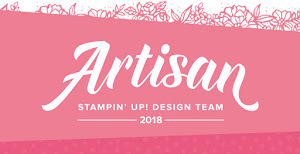 Remember you can reserve your copy of the new Stampin' Up! 2015/2016 Catalogue from me - find all the information here. If you enjoyed this project and your order is under £150/€200 please use code W9CXZCJY to support me (this code should be entered in the box that reads *Do you have a hostess code? * on the Stampin' Up! checkout page). All hostess codes correctly entered will earn a free gift direct from me. Learn more about the code here.